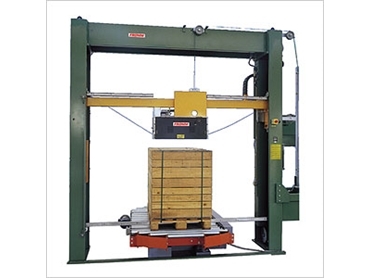 The PM100 from Australian Warehouse Solutions is a reliable fully automatic vertical strapping machine that has been engineered for continuous and shift operations. The PM100 strapping machines will substantially reduce the total strapping time as compared to manual operations, and is ideal for general palletising and unitising. These automatic vertical strapping machines are commonly suited to the food and beverage industry.